For those of you who don’t know it, EDC stands for Every Day Carry. Now that we cleared that up, you probably know what we’re gonna talk about next. 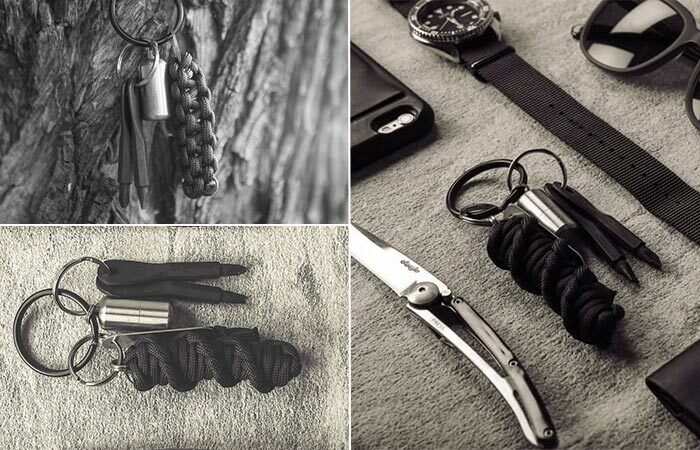 That’s right, the crew over at Huckberry built their own Essential EDC Kit and it’s extremely useful. So, let’s start from the first item. The black oxide finish split key ring measures 1.3 inches in diameter. The screw key set includes Phillips and flat head keychain. Both are made from extremely durable heat treated, blackened steel. 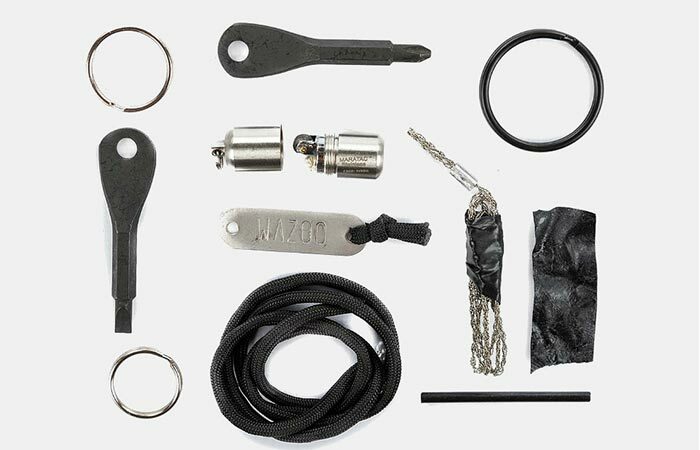 Huckberry’s Essential EDC Kit is very practical and portable. With it, you’ll get several items never know when you might need. As for the woodchuck wire saw keychain, it includes several items. There’s the 550-pound rated paracord with seven internal strands. It’s very useful in situations when you need to make a net, either for catching your meal or simply for carrying other items inside of it. The stainless steel name plate can be used for several purposes. You can ignite a fire together with the firesteel, use it to sharpen your blade or use it as a sinker/spinner in case you go fishing. Wire saw can be used as a snare wire if you untwist the strands. In general, all the items in this kit use tough and durable materials. This ensures it’s long lasting but also reliable. The last item in Huckberry’s Essential EDC Kit is the peanut lighter. You can use it as a small candle or place small items inside of it. The stainless steel makes it very tough and non-corrosive. Simply fill it with standard liquid lighter fluid. As for the dimensions, it’s 1.3 inches high and has 0.5 inches in diameter.